You know, they just do not make B movies like they used to. Take Plan 9 from Outer Space, for instance. This strange mix between science fiction and zombie film, with just a wee touch of vampire, has become famous as the worst film ever made, a totally undeserving tagline. Ok, I admit there are a lot of bad things about this film. So many, in fact, that it is difficult to know exactly where to start: The bad effects, the cheezy props, the bad actors (Tor Johnson is really something extra), the corny story, the gaping plot holes, or the random footage that was included just to make this “Bela Lugosi’s last film”. Regarding some of the goofs in the film, Wikipedia has this to say: “Wood framed his shots for the widescreen format, expecting that the ephemera at the top and bottom of the screen would be cropped in projection. Only when the film is viewed in its original widescreen format does it become apparent that Wood did compose his scenes correctly, and that the various objects intruding on the picture were never meant to be seen by the audience.” This may actually be true. I watched parts of the movie using VLC’s cropping function, and the sections I saw work at least as well in 16:9 format as in the normal 4:3 format. In addition to the normal version of the film, the Internet Archive also hosts a surprisingly nice colorized version, which actually adds another dimension to the film. I nevertheless chose to use the black-and-white version as a standard, because it is the original, and because I think it is the version that most people will be looking for. This film is best enjoyed if you can break free from the misconception that Plan 9 is the worst film ever made. It is not. Not by a far cry. There are literally hundreds of much worse movies than this one. And why? Because this one has heart. Somewhere, somehow, you can sense that Plan 9 was made with love for the medium and respect for the actors. 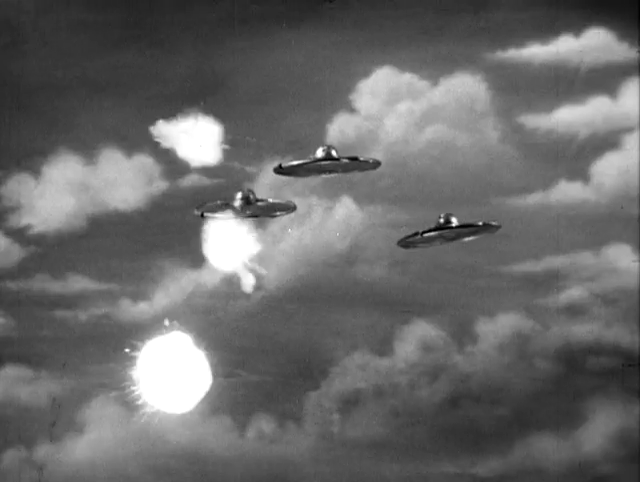 Compared with a lot of mockbusters and other crap that are churned out for purely economic reasons these days, Plan 9 from Outer Space is infinitely more enjoyable! 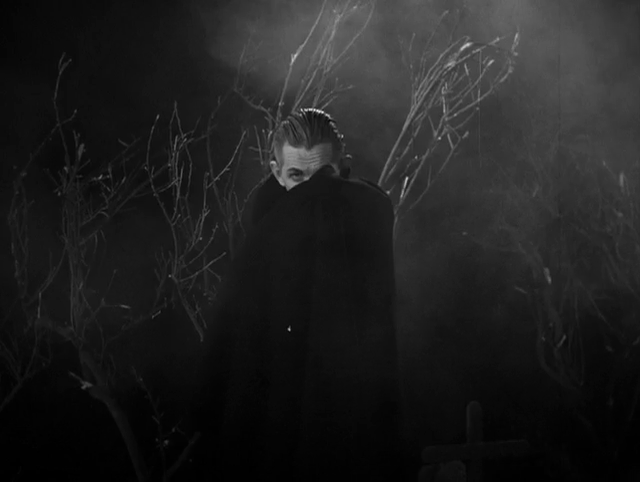 This entry was posted in Science Fiction & Horror and tagged 1950s, 1959, Bela Lugosi, Cemetery, Death, Extra-Terrestrial Life, Horror, Independent film, Internet Archive, Pilot, Plan 9 from Outer Space, Police, Science Fiction, Spaceship, Undead, Zombie. Bookmark the permalink.